Barbara K. Lewinson, Attorney at Law of East Brunswick, New Jersey for professional legal asssitance you can count on. When you need an attorney to assist you with family law, criminal law, or personal injury cases, our knowledgeable and experienced staff is the right team for you. 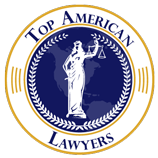 Call us now to schedule your legal consultation and put legal stresses behind you!